The main arterial of Los Angeles, what’s been called a “grand concourse” and a “linear downtown,” is in the middle of a transformation. As a busway is painted on Wilshire Boulevard’s surface and a subway carved underneath, President Obama announced this week he’s including $100 million in next year’s budget for the second phase of the Purple Line extension, which will take rapid transit service from La Cienega Boulevard all the way to Century City, one of the city’s biggest job centers. The fed money, still to be approved by Congress, will help lighten the local load of the $4.2 billion subway project, which will eventually extend to the VA Hospital in Westwood. Opening in segments, the Purple Line will reach La Cienega in about eight years, Century City in 2026, and the VA in 2035. Much sooner, specifically later this year, the Wilshire bus rapid transit project will open to the public. Starting then, the parking lane will be exclusively used for buses during rush-hour, speeding crosstown bus commutes and making transit a much more sellable option on Wilshire. The Wilshire busway project is far from perfect, though. It is interrupted in many places, notably in Beverly Hills and Santa Monica; two cities that opted out of the project. 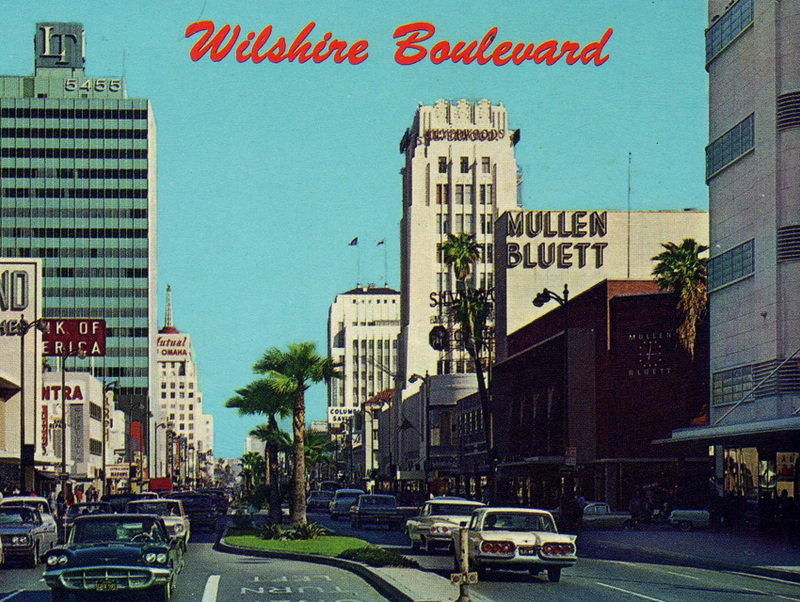 The stretch of Wilshire in Beverly Hills is probably the most congested, with numerous traffic lights and tour buses. The busway may be a hard sell especially to Beverly Hills, notorious for fighting against the placement of the Century City subway station, but if Metro officials can convince officials there, bus commuters could really see improvements in east-west travel. Whether that happens or not, Wilshire is going to be a different boulevard, even when the subway’s first phase opens in 2023 (watch a construction video below). Imagine the tourists pouring onto the Purple Line to explore Beverly Hills; the office workers clustered around Fairfax hopping on the train or busway; the new mixed-use towers that will spring up around the three new stations. As this is the Driver blog, we have to wonder how the new Wilshire will accommodate cars. Motorized vehicles will still be a part of Wilshire, of course, but for the first time in the city’s history, there will be several options for huge stretches of the boulevard; car, train, and bus will all be feasible. The only thing that could make this better is a bike lane. Now, that may be dreaming.